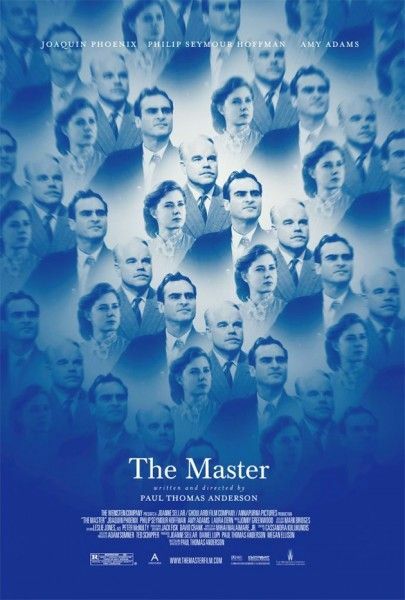 If you’d like to check out director Paul Thomas Anderson’s The Master, you’re in luck (if you live in the Austin, TX area)! The Alamo Drafthouse Ritz will be screening the film in 70mm this coming Monday, September 10th at 7:30 PM. As a way to announce this event, a new, NSFW clip has been released that features Joaquin Phoenix as Freddie Quell taking a Navy psychological examination. While we never get to see the inkblots in question, it’s clear that Quell only has one thing on his mind. Hit the jump to see what that is. The Master, also starring Philip Seymour Hoffman and Amy Adams opens in limited release September 14th, with expansion on September 21st. Be sure to get caught up on all our previous and continuing coverage of The Master here. If you’re interested in tickets for the screening this Monday, September 10th at 7:30pm, just to inform you, all proceeds will be donated to The Film Foundation. Tickets are here, and remember the $25 ticket price is for the benefit of the foundation. A striking portrait of drifters and seekers in post World War II America, Paul Thomas Anderson’s The Master unfolds the journey of a Naval veteran (Joaquin Phoenix) who arrives home from war unsettled and uncertain of his future — until he is tantalized by The Cause and its charismatic leader (Philip SeymourHoffman).